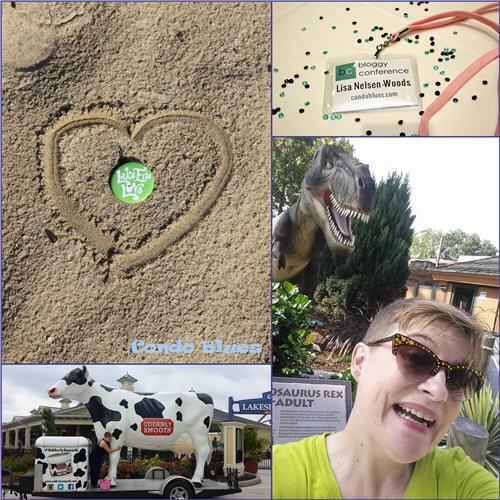 Last weekend, I did a Last Blast of Summer Tour by skipping up the road a bit to attend Bloggy Conference 2016 at Cedar Point. Tiff knocked it out of the park organizing and planning the conference this year! I learned quite a bit and paid it forward by being the Squad Leader for DIY bloggers during our community breakout sessions. What's also nice about BloggyCon is being able to spend the evening in Cedar Point after our sessions finished for the day. Not to mention, I named my new Rexy friend Snuggles and asked Husband if I could bring him home with me because we have the same smile. Husband and Lacey vetoed adding Snuggles to our family. Sad face.